On September 13, 2016 the world lost two beautiful people, Charlene Mae Ventanilla and Shane Ventanilla, a mother and her son. Charly, we called her, had the best personality. Those who knew her would agree that she was easy to be around, easy to get along with and even more so, she was easy to love. She loved her family and was proud to be the wife of Kenneth and the mother of two beautiful children, Vincent and Shane. No one could ever be prepared for what was to happen that day. The lives of these two loved ones were taken away from us so suddenly and so soon. These words are being written with a heavy heart, because no matter how much of a bad dream this all seems, the reality is that Charlene and Shane are gone. There are no easy answers, and we will never understand why this all happened... but one thing is certain. 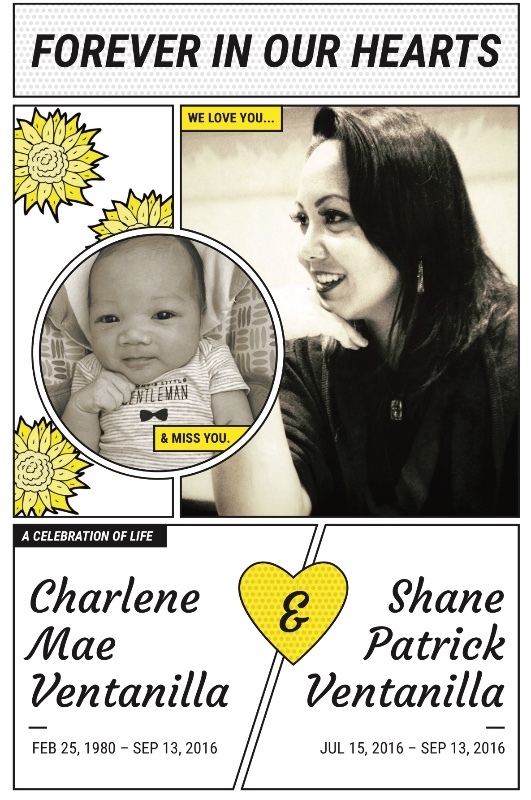 Charlene and Shane are deserving of a beautiful service to celebrate and honor their lives. We are asking as a family, as friends, and as a community to help the Ventanilla family to help ease the burden of this tragic and devastating loss by sending love & contributing to their funeral fund. 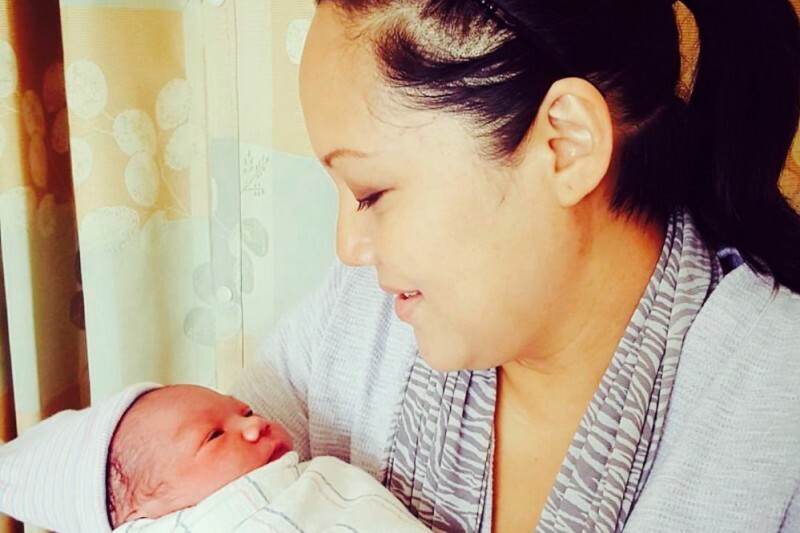 Charlene and Shane are survived by husband and father, Kenneth Ventanilla, and son and brother, Vincent Ventanilla. Their light and legacy lives on through their family and friends. The monetary contributions raised will be transferred to an account to help the Ventanilla family cover immediate funeral costs for Charlene and Shane. Any money left over after the funeral will go to help support Kenneth and Vincent. This campaign is being handled by Bernard Miranda, Kenneth’s first cousin, who will ensure that the funds will be received by the family directly. We ask that the public respect the privacy of Charlene and Shane’s family during this difficult time. Thank you. I am beyond shocked to learn of this news having just reconnected with a former Los Al high girlfriend, Rowena, two months ago. Rowena just sent me a photo of our high school group over the holidays which included Charlene standing above me from one of our dance group photos. Last night I casually was curious on each person in the group photo and decided to search on FB and noticed the "Remembering" reference on Charlene's profile but confused given the lovely family photos and pregnancy photos. What a beautiful family! Charlene was a lovely and sweet person when I knew her at Los Al High - we were so young those days back in '95! I ran into her in Cerritos Mall decades ago after she left Los Al High and she was happy. Ken, I cannot imagine your heartbreak. Please accept my family's deepest condolences on behalf of the people she touched at Los Alamitos High. She was and is a beautiful person that lives on in you and your beautiful Vincent.